A middle point between recent acoustic forays and the tight rock of old. We have to mention it though, don't we? 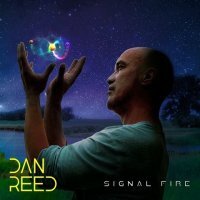 As much as he might not want us to, the Dan Reed Network, particularly around the time of the funky ‘Slam’, were seen as a sure thing for megastardom. But, as is often the way, it is thought that some ball-dropping ensued; we liked 'em but in the States the brass apparently didn't quite know what to do with 'em. And so Dan went away. And came back recently in an acoustic vein. This is his second solo band album proper and something of a mini event, funded by that wonderful new thing, the pledge system. And he's playing a 25th anniversary gig with the network soon, so we might be seeing a lot more of him. But he's here now. With a new album. And it's a bit underwhelming. It seems to be a middle point between recent acoustic forays and the tight rock of old; the overriding feeling is that this is grown up, which is not something to stir the blood. The title track introduces us to his developing sound, sunny and undeniably AOR, but of a Mellancampish US organic type. He smoothly settles in, with his voice ideally suited to the warm, round feeling of the genre. He doesn't forget to wheel in some genteel parping keys in the midst of an unthreatening guitar motif and simple backline, which is only what we're going to hear on track after track, albeit with modifications. There's a possibility that he could be mainlining the Killers on ‘All I Need Is You’ as dancy synths arrive early, but he soon settles into a calm, rootsy US chart rock feel with a very simple chorus - this has the vista of the Mid West, the wide view of the dustbowl with mountains stretching into the distance - music as ranch style property. 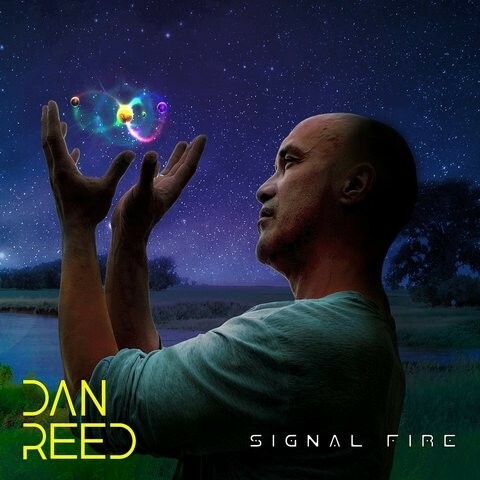 If you don't take Reed's background into account, this could be a pretty good addition to the AOR releases this year, an impressive crop, the middle of which this would nestle into beautifully. Conversely, when he decides to rouse himself from the padded sofa and sink a berocca and ginseng cocktail, the results are pretty special. You see, the closer ‘Drive On’ walks into the room, looking completely different to what's gone before. It proceeds to make us smile by tinkling on an electric joanna, keeping it all locked down and evoking that tight AOR that Toto and F Slama do so well. There’s a rocking chorus teasing us before that airless feel shakes a finger and trots away, rising on that tinkling piano until a chorus bursts and showers us with starlight. If this is where Dan is going, tickets will be hard to come by. Throw away the pipe and slippers Dan; fly!